A1K9s highly trained personal and family protection dogs are fully controllable at all times due to the intensive obedience and protection training that they will have received at A1K9 prior to being handed over to their new family. 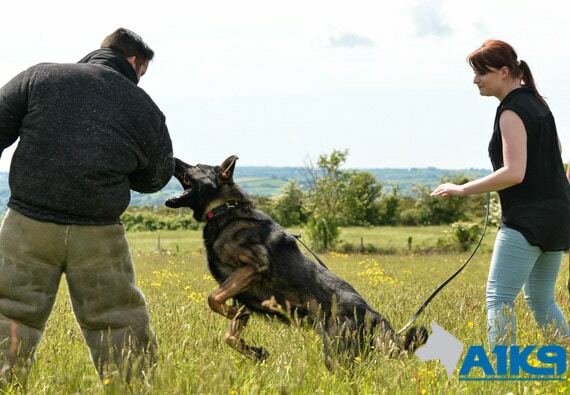 This in-depth training prepares the dogs to deal with everyday life as well as real life conflict allowing them to confidently defend their owner, family and property with a measured and conclusive response in order to neutralise an impending threat. 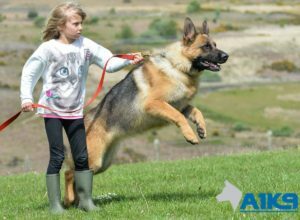 Our protection dogs are trained to deal with a potential threat in a measured way depending on the level and imminence of the danger. 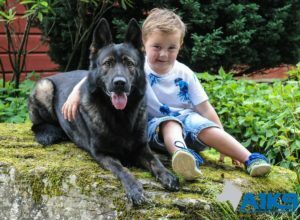 A1K9 personal and family protection dogs are highly trained K9 companions and protectors that are social and impeccably mannered, well versed in obedience, yet able to provide physical security for their owners and family. 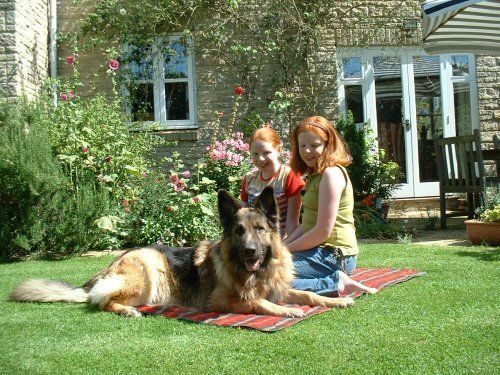 For a variety of reasons and living with the threats of the modern world, most of our clients wish to improve the security surrounding themselves and their families. 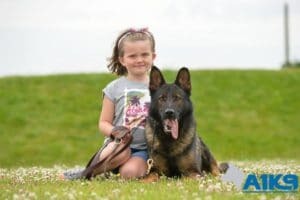 While there are a variety of ways to do this, a trained A1K9 protection dog provides a subtle yet devastatingly effective solution and yet comes with all the benefits of owning a loving family pet. 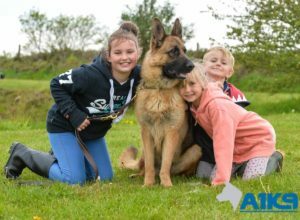 All of our protection dogs are friendly and completely safe as a family pet. 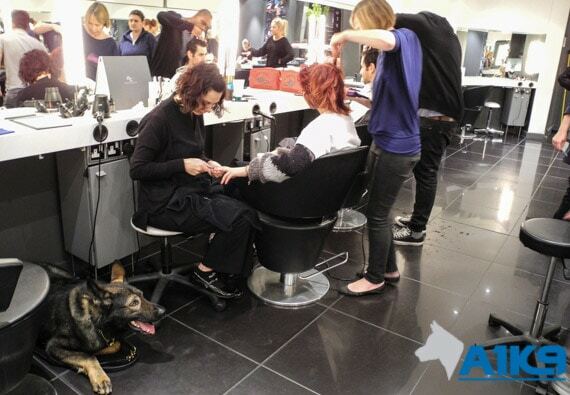 They are trained to quickly act and intervene should the security of their family or home be threatened in any way. Their protection training lasts a lifetime and will kick in when needed, even if years have gone by and their skills have not been practised. A1K9 protection dogs are trained to respond to a potential threat in a measure way depending on the level and imminence of the danger. 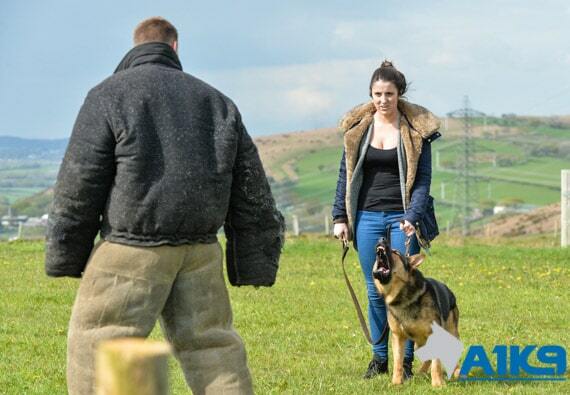 They will in the first instance normally try to deter a potential assailant or security breach by a show of controlled aggression i.e. by barking and/or growling. 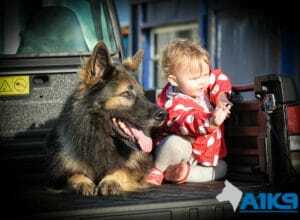 In many cases this will suffice and eradicate the problem, however if the threat is not deterred by the warnings given by the dog or its owner, or even if the owner is in immediate risk of being assaulted, the dog will either with or without command, disable the threat by biting and holding the assailant; not releasing until commanded to do so. 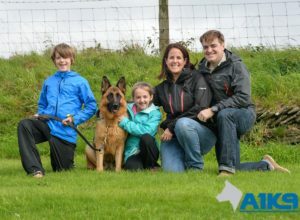 A1K9 "REAL" Family Production Dogs in Action! 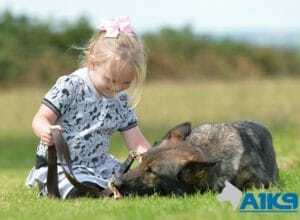 A1K9 Trained Protection Dogs Are The Perfect Combination Of Loving, Obedient, Family Companions and Capable Guardians. Once a threat has been neutralised or a potential intruder sent off to look for an easier target, the dog - when given the appropriate command - will return to being the friendly family pet that it was before the incident occurred. They are taught to switch off as quickly as when a situation dictates that they must switch on! Many of our clients fear being targeted by criminals for a variety of reasons. Some have previously been the victim of a home invasion, personal assault or robbery, where others have seen their friends lives changed as result of a violent encounter within their home. Most potential customers wish to stem the threat of their homes being burgled, others may fear the possibility of kidnapping or an aggravated robbery - although most simply want the added security and peace of mind that owning a trained A1K9 protection dog brings. 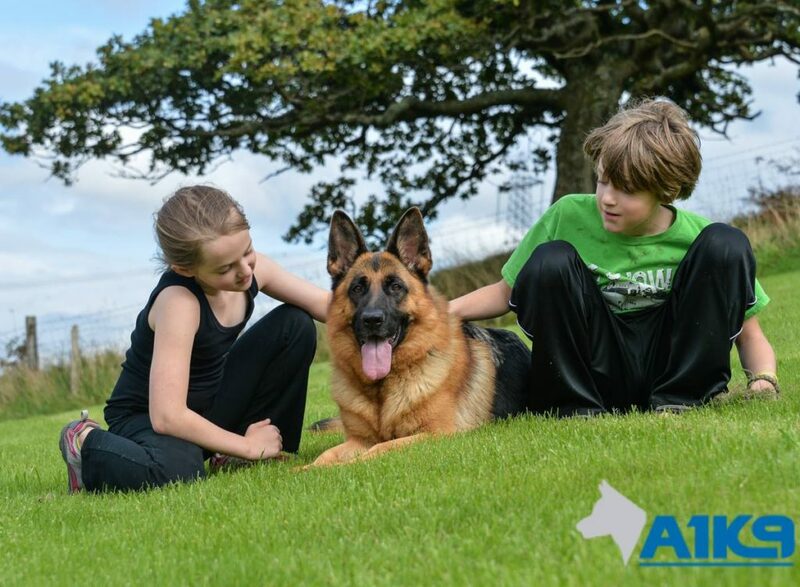 Whatever the cause of concern or security issue, our trained dogs can help protect in an intelligent, responsive and tangible way to great effect; yet for the main they double as being the ultimate family pet, children's playmate and early morning jogging companion. Whatever the cause of concern or security issue, our dogs can help protect in an intelligent and responsive way. 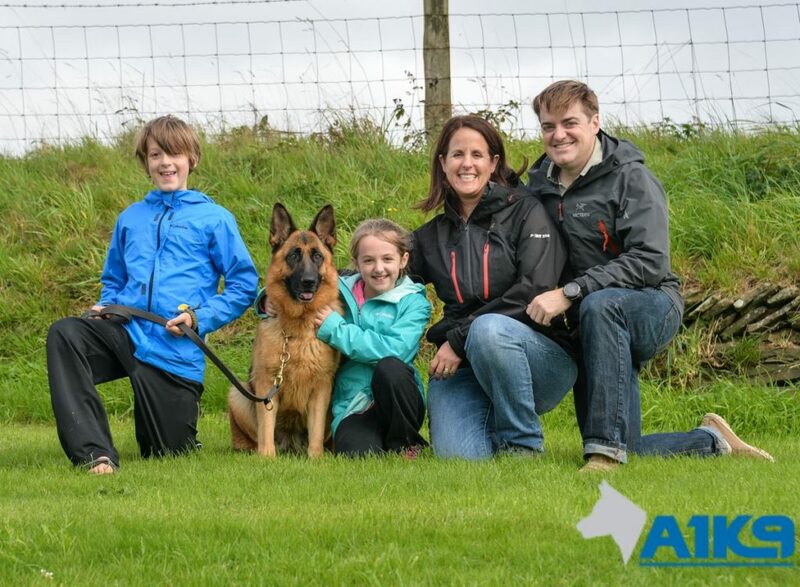 As a result of our comprehensive A1K9 training, our dogs are versatile family additions and our clients are always telling us that the benefits of owning an A1K9 Dog go way further than just providing additional security - which is often the main reason they were initially purchased. 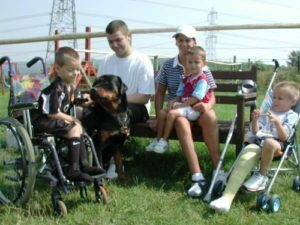 Many of our clients claim health benefits too, in that they have managed to lose weight and see their fitness improve, without having to alter their eating habits; as walking the dog certainly helps to burn those calories. 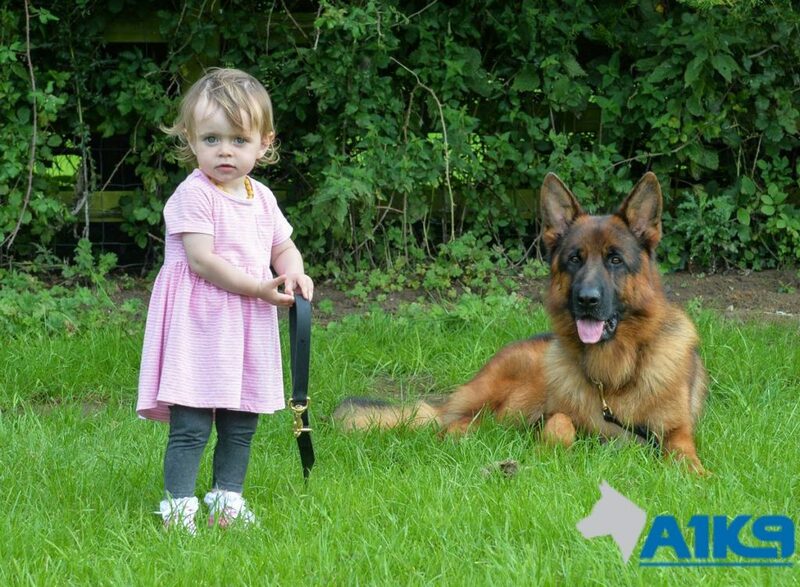 A1K9 Family and Personal Protection Dogs Are Trained To Various Levels Depending On The Customers' Requirements. 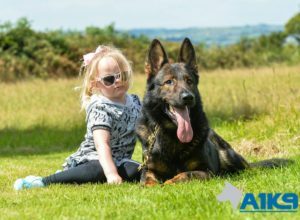 A Personal Protection dog is like a person trained in martial arts, whilst not looking for confrontation, it has the skills to quickly draw it to a close should it be necessary. An A1K9 trained family protection dog will act as a personal companion/bodyguard, for it's handler and family whilst also acting as an alarm and physical deterrent. 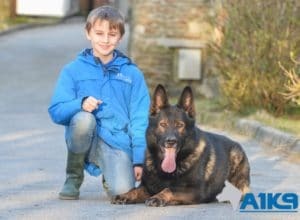 Should the dogs owner or family be threatened or come under attack, the dogs are trained to bite and hold an assailant if commanded to do so. Throughout the exhaustive training, involving many real life scenarios, these dogs are taught that the security and safety of their handler is paramount. 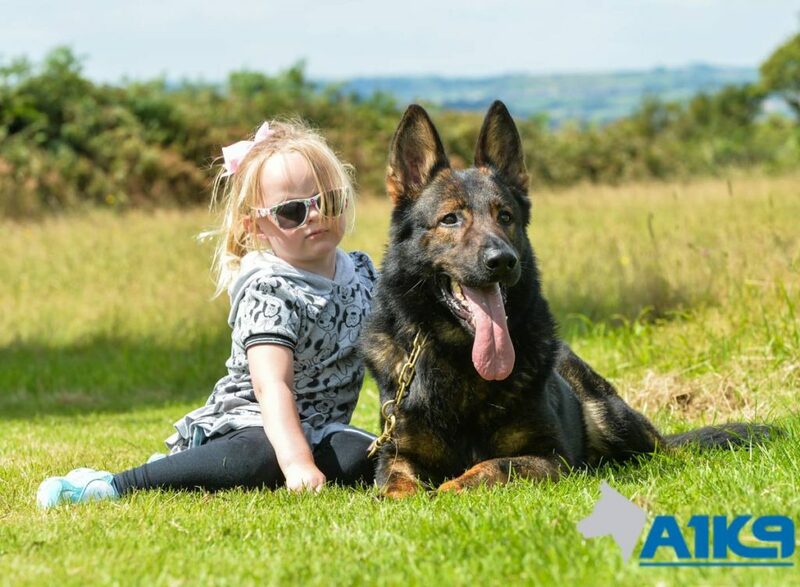 An A1K9 Personal Protection Dog Is Like A Person Trained In Martial Arts, Whilst Not Looking For Confrontation, It Has The Skills To Quickly Draw It To A Close Should It Be Necessary. 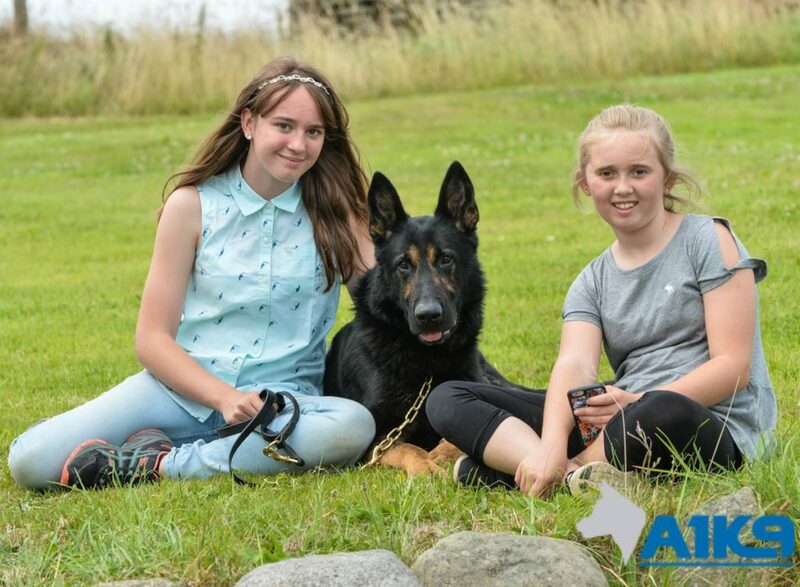 A1K9 executive level personal and family protection dogs receive far more in-depth training and are trained to deal with threats that may affect high net worth individuals. Their training is far more intense and prepares them for accompanying their future owners to all sorts of different environments, where they will have to be impeccably behaved but also prepared to deal with a problem at the drop of a hat should they arise, irrespective of where they may occur. 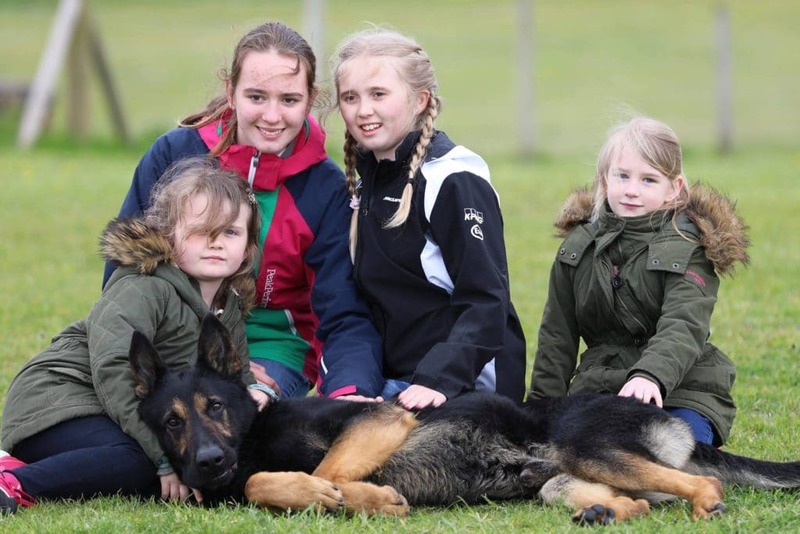 It is not unusual for these dogs to take the place of human close protection operatives, or indeed to work alongside a family's in house security team. 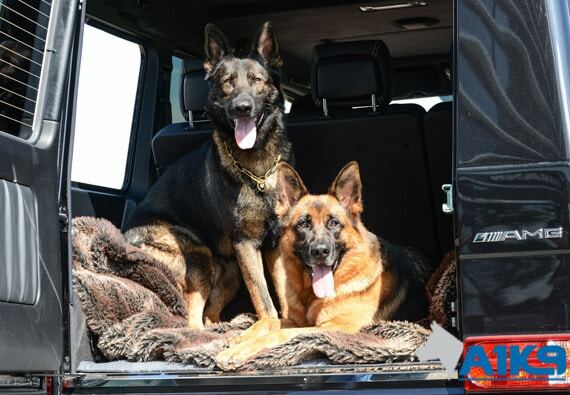 These highly trained canines, having passed through our standard level are then taught many other disciplines including defending against multiple attackers, targeting weapon arms and protecting owners against situations such as car-jacking, just to mention a few. 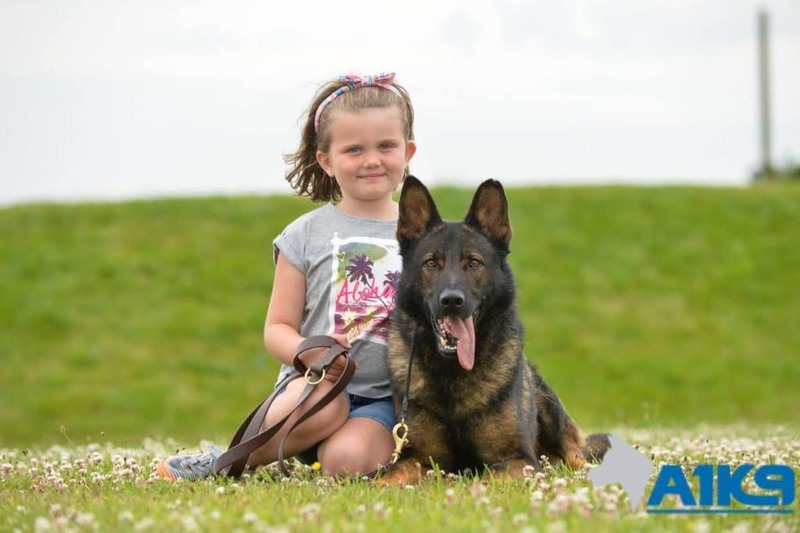 It is important to note that even our most highly capable protection dogs are first selected and conditioned to be wonderful, happy family companions and behave in the main as an obedient pet, while retaining the ability to switch into protection mode if and when a situation dictates. It is not unusual for A1K9 dogs to accompany their owners as part of their daily lives and should the need arise they are ready to defend at a moment's notice.